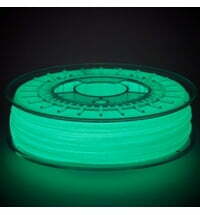 Phosphorescent Material in the Filament, which Shines at Night. 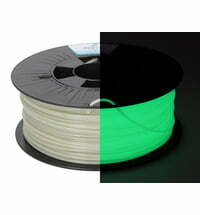 The material is mostly based on PLA or ABS. 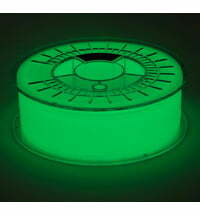 Thanks to the additional phosphorescent particles, the model lights up at night. The material has to be exposed to light first so it can absorb the light The best results are achieved with thick walls. The thicker the walls, the stronger the glow.